There are two Neighbourhood Watch schemes in Hever run by Olivia Stone and Jane Burke. 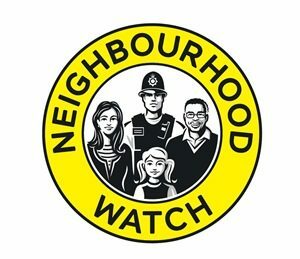 Should you wish to join the Neighbourhood Watch scheme closest to you please email hra@hever.org or contact any of the Hever Residents Association Committee members who can put you in touch with the Neighbourhood Watch coordinators. Should you wish to report a non-urgent crime please call 101 for all emergencies dial 999. The Neighbourhood Watch scheme is a partnership intended to bring people together to make their communities safer. It involves the police, Community Safety departments of local authorities, other voluntary organisations and individuals and families who ostensibly want to make their neighbourhoods better places to live. It aims to help people protect themselves and their properties and to reduce the fear of crime by means of improved home security, greater vigilance, accurate reporting of suspicious incidents to the police and by fostering a community spirit. Neighbourhood Watch schemes are run by their members through a coordinator and are supported by the police and in many divisions, a local Neighbourhood Watch Association. Schemes can vary in size. A volunteer resident coordinator supervises the scheme and liaises with the police, they receive information and messages to keep them in touch with activities, and some have marker kits, alarms and other security items, which are available to members. It must be recognised that the scheme is a community initiative, which is supported by the police, not run by them, so success depends on what the members make of it. The police cannot deal with the problems and issues arising from crime and anti-social behaviour alone; they need the help of the whole community. Neighbourhood Watch provides a way for local people to play an important part in addressing this balance and making their communities safer.